Do not assume you have to settle for traditional appeal in your backyard. 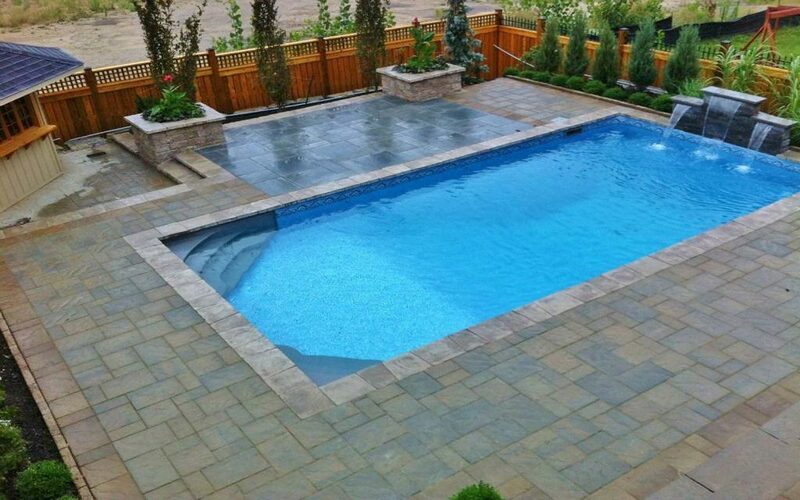 Pools are not just for swimming anymore. 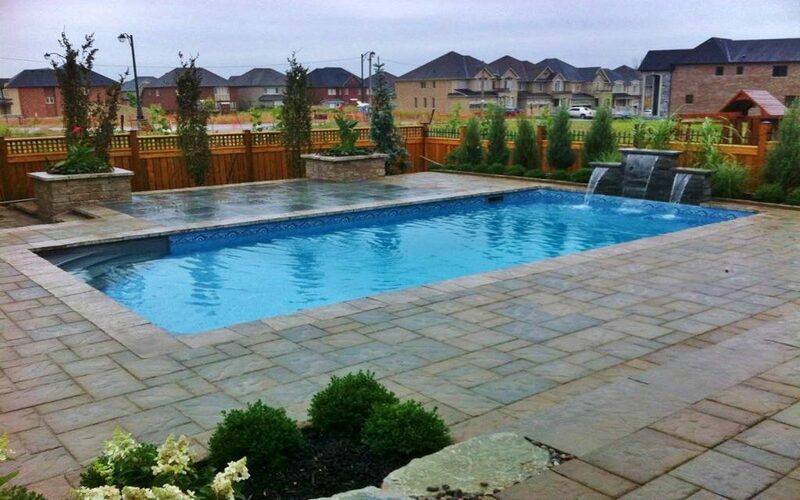 They are inspired of the need for a specific, interesting backyard landscaping design. 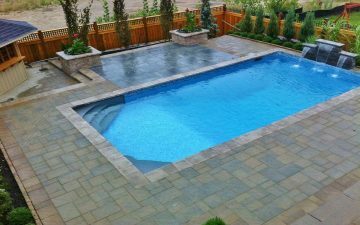 Your pool design should be a work of art that pleases you aesthetically as well as offering you a way to cool down and relax in the heat of summer. Sheer descent waterfall, cabana with bar area and stone planters with accent columnar trees such us Columnar English Oak or Pyramidal Hornbeam were incorporated into this design. Lounging by the pool and taking a nice dip now and then can really make summer the best part of the year.